FOREVER SA is one of the leading hospitality groups in South Africa and has a portfolio containing more than 20 holiday resorts, lodges, hotels and retreats. SES WEB was contracted by FOREVER SA in 2013 to develop and look after their on-line real estate. 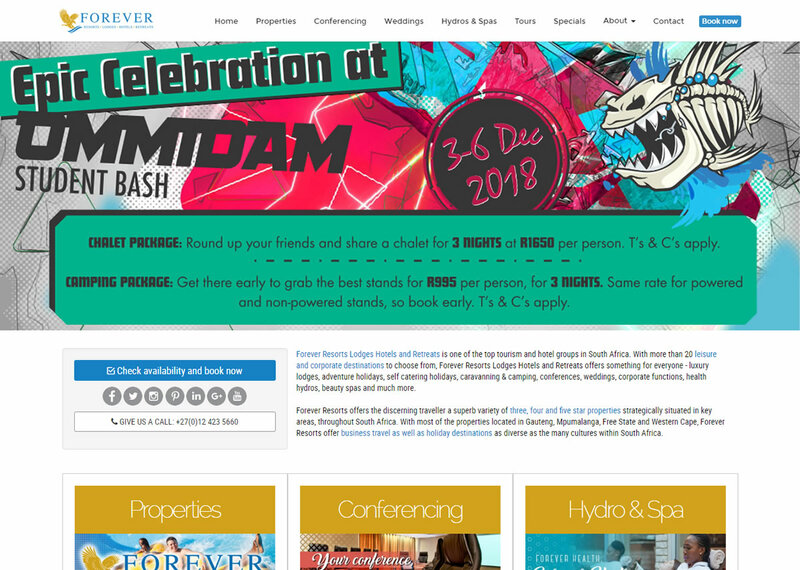 The on-line portfolio of FOREVER SA is a complex multi-site system that was custom built and tailored to the client’s unique requirements to integrate with a variety of third-party applications. What appears to be a collection of many websites is actually a single system that is managed from a central command centre that enables the client to efficiently perform tasks and updates, and communicate effectively with their guests either globally, or per property. 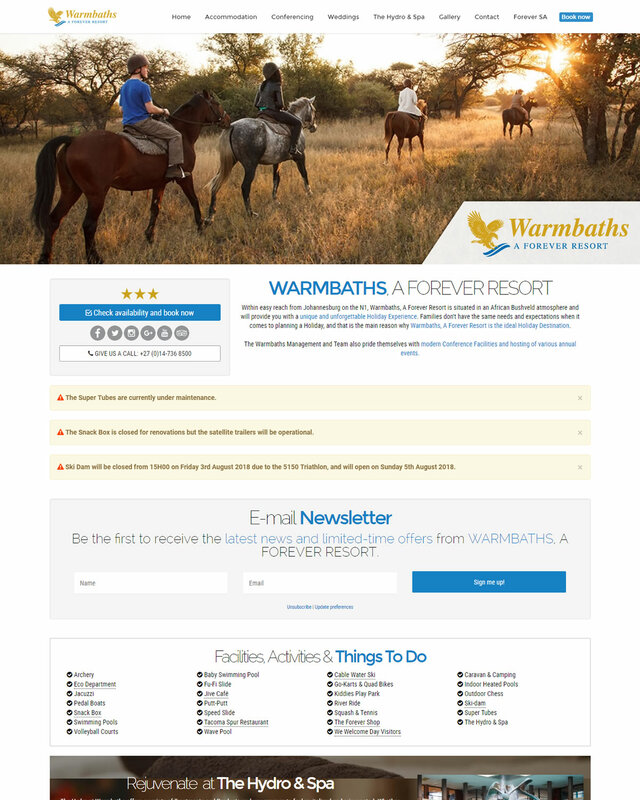 FOREVER SA is also the first leisure group in South Africa who makes use of a true real-time booking system.